If you’re 60+ or approaching that age bracket, you probably already know that health insurance gets a lot more expensive as you get older (if it’s any consolation, that won’t be the case anymore once you turn 65 and go on Medicare, since regular Medicare rates aren’t based on your age). Under the Affordable Care Act (ACA), older enrollees in individual and small group health insurance plans can’t be charged more than three times the rate that applies to a 21-year-old. This limit is better than it was in the pre-ACA days when the ratio wasn’t regulated at all in most states and was often closer to 5:1. But rates, in general, are higher now that the ACA has been implemented because health insurance companies can no longer reject applicants with pre-existing conditions or charge them higher premiums to account for their medical history. That’s good news if you’ve got a pre-existing condition, but it has also resulted in higher premiums across the board. Since premiums are higher for older applicants, those who are eligible for premium subsidies receive much larger subsidies than younger applicants, so that the after-subsidy costs end up the same. But older adults who aren’t eligible for premium subsidies may find that ACA-compliant coverage simply isn’t affordable at all. Let’s talk for a minute about premium subsidies, which are available if your income doesn’t exceed 400 percent of the poverty level. For people who will be signing up for 2019 coverage in the fall of 2018, that will mean an income of no more than $48,560 for a single individual and $65,840 for a couple. And the premium subsidies can be substantial, especially for older enrollees, depending on where you live. In 2018, for example, a 62-year-old in Charlottesville, Virginia earning $49,000/year (slightly over 400 percent of the poverty level) would have to pay at least $1,798/month for a bronze plan purchased through Virginia’s exchange, which amounts to 44 percent of her income. But if she earned $48,000 instead, she’d qualify for $1,966/month in premium subsidies. That would let her buy the cheapest bronze plan for just $6/month, or she could get a silver plan for $309/month (quotes for ACA-compliant plans, with and without premium subsidies, are available on HealthCare.gov’s plan browsing tool). Clearly, ACA-compliant plans are a great deal if you’re subsidy-eligible. If you’re truly wealthy, they’re probably not too much of a stretch even at full price. And if you’ve got significant pre-existing medical conditions, the ACA-compliant plans may present a good value, even if you have to pay the whole premium yourself. But what if you’re fairly healthy, in your early 60s, and earning just a little too much to qualify for premium subsidies? Charlottesville is an extreme example this year, but there are many areas of the country where pre-retirees who aren’t eligible for premium subsidies are paying a significant chunk of their income for health insurance. CMS has published average pre-subsidy premiums for the plans that people purchased in the exchanges across the country for 2018. Nationwide, the average is just under $600/month, but there are several states where the average is over $750/month (Alaska, Delaware, Iowa, Nebraska, North Carolina, Tennessee, West Virginia, and Wyoming). And that’s across all ages — older people who aren’t subsidy-eligible are paying rates that are much higher than the overall average. For the majority of non-elderly Americans, health insurance comes from an employer. But what if you’re self-employed? 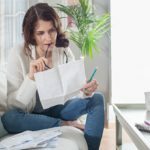 Creating your own job opportunity can be a great path, but it also puts you in the position of having to sort out your health insurance on your own. The Bureau of Labor Statistics reports that self-employment rates are highest among people age 55 and older. In some cases that’s because seasoned employees opt to take their skills and experience and strike out on their own to fulfill their dreams and follow their passions. But in other cases, the path to self-employment is taken out of necessity. Age discrimination in the workplace — and in the job market — is an ongoing problem, despite regulatory efforts to combat it. 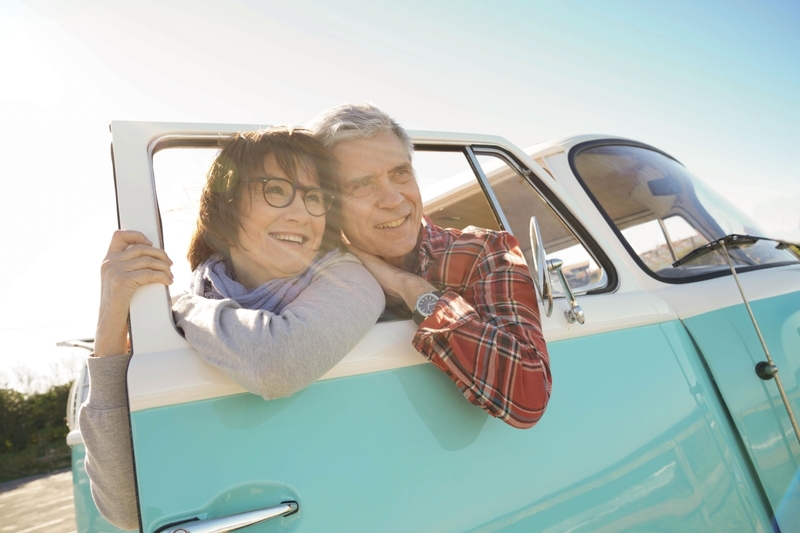 So although you may have had a steady career — with employer-sponsored health benefits — for decades, there’s no guarantee that you’ll continue to have access to your employer-sponsored plan throughout your early 60s. And unless you’re disabled, you won’t have access to Medicare until you turn 65. 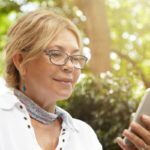 So what’s a pre-retiree to do? If you’re losing access to an employer-sponsored plan, you may have the option to continue it with COBRA, but you’ll have to pay full price for your coverage if you go that route. Many people find that it’s too expensive, but it can be a good option if you’re in the middle of specialized treatment and don’t want to deal with having to switch to a new insurer’s provider network and potentially having to switch doctors. Do you have a special open enrollment period for the individual market? If you’re losing access to an employer-sponsored plan, you’ll also have a special enrollment period during which you can sign up for a plan in the ACA-compliant market. It starts 60 days before your employer-sponsored plan ends, and continues for 60 days afterward. The special enrollment period is available regardless of why you’re losing access to the employer-sponsored plan (ie, your own decision to leave your job, or being terminated or laid off). Are you eligible for premium subsidies? You’ll definitely want to check to see if you’re eligible for premium subsidies (premium tax credits) in the exchange. Basic eligibility is based on your income, which can’t be more than 400 percent of the poverty level. And the prior year’s poverty level numbers are used, so the 2018 poverty level will be used to determine eligibility for premium subsidies for 2019 coverage. If you’re subsidy-eligible, a plan purchased through the exchange is likely going to be your best option. Premium subsidies for older applicants tend to be substantial since health insurance is so expensive for that age group. And unless you enroll in a plan through the exchange, you’d be leaving that tax credit on the table. You can choose to take the premium tax credit up-front, paid directly to your insurance company each month to lower the amount you have to pay, or you can claim it on your tax return. But either way, it’s only available if you enroll in a plan through the exchange in your state. If you’re not eligible for a premium subsidy, it gets a little trickier, and there’s no single solution that will work for everyone. But people who aren’t subsidy-eligible need to be aware of the other options that may be available to them. Going uninsured altogether is not a great choice, but some people might consider that when they see how much they’d have to pay for unsubsidized ACA-compliant plans. Fortunately, there are often other options available, although it varies based on where you live and how healthy you are, and whether you’re self-employed. Short term health insurance plans can serve as a good option for relatively healthy people who don’t qualify for premium subsidies and who can’t afford to pay full price for an ACA-compliant plan. Short-term health care coverage is available in almost all states, although some states regulate it more than others. Under rules that took effect in 2017, short-term plans are limited to three-month durations, but that’s likely to change soon. The Trump administration has proposed allowing short-term plans to have durations of up to 364 days, which is the definition that was already in place pre-2017, before the current regulations were implemented. If and when those regulations are finalized, longer short-term plans will become available in many states. Short term health plans are not regulated by the ACA, and that has both pros and cons. The downside is that they don’t have to cover pre-existing conditions, can base eligibility for coverage on an applicant’s medical history, don’t have to cover all of the essential health benefits, and can limit how much they’ll pay in benefits. But the benefit of all this is that for people who have to pay full price for their coverage, short term plans are much less expensive than ACA-compliant plans. And while ACA-compliant plans can only be purchased during the annual open enrollment period (or in limited cases, when the applicant has a qualifying event), short-term health insurance plans can be purchased at any time, with coverage effective as early as the day after you apply. So after you get health insurance quotes for ACA-compliant plans, you’ll want to also check with carriers that sell short term health plans to see if you can get more affordable health care quotes. These plans will probably only be a good option if you don’t have any significant pre-existing conditions. And you’ll want to read the fine print to make sure you understand what is and isn’t covered under the plan before you buy it. But if your other option is going without health coverage altogether, there’s no doubt that a short term policy is a better option. Short term plans do not satisfy the ACA’s individual mandate, which means you could end up paying a penalty if you rely on a short term plan in 2018. But the penalty will be $0 starting in 2019, as the Tax Cuts and Jobs Act calls for it to be eliminated after the end of 2018. If you’re self-employed and unable to afford an individual market plan, you can also look into association health plans (AHPs) offered to self-employed people in your area or your industry. Under new rules finalized in June 2018 by the Department of Labor, AHPs that purchase coverage from an insurer will become available to self-employed people starting in the fall of 2018. And new self-insured AHPs will be available by the spring of 2019. Prior to the new rules, self-employed people could only select from the individual market plans available in their area. But the new regulations will allow self-employed people to join AHPs based on being in the same location as the other AHP members, or on being in the same industry. And the AHPs will operate under large group rules, which are less restrictive than the rules that apply to individual and small group plans. Unlike short term health insurance plans, AHPs will not be able to reject applicants based on medical history. In some ways, that will make them a better choice for self-employed people who have pre-existing conditions. But AHPs are likely to offer somewhat skimpier coverage than the plans sold in the individual market, which is part of the reason they’ll tend to be less expensive. So in order to have adequate coverage, the onus will be on the applicant to carefully read the plan details and ensure that the policy is going to be adequate. Under large group rules, health plans don’t have to offer all of the ACA’s essential health benefits. They can also vary age-based premiums by more than a 3:1 ratio and can base premiums on gender and industry, none of which is allowed in the individual and small group markets. Self-employed applicants who are considering AHPs will want to carefully consider the benefits and understand whether there are any significant shortcomings. It may be, however, that an available AHP could offer solid coverage for a self-employed individual, with coverage gaps in areas that don’t bother the applicant. As long as you fully understand what you’re buying, you could end up with more affordable health care quotes by looking in the AHP market instead of the individual market. The ACA has done a good job of making coverage affordable for lower-income people and many middle-class Americans. It’s also eliminated the obstacles that used to prevent people with pre-existing conditions from obtaining coverage in the individual health insurance market. But people who don’t qualify for premium subsidies have been falling through the cracks, in ever-growing numbers, as premiums have increased in recent years. CMS reported that from 2016 to 2017, enrollment in ACA-compliant individual market plans declined by 20 percent among people who don’t get premium subsidies. And there’s no doubt that decline continued in 2018. Ideally, we’d have a change in federal policy to extend the premium subsidy calculation to ensure that nobody pays more than a certain percentage of their income for individual market coverage. But that would be expensive in terms of the subsidies that would be necessary, and it would require a level of bipartisanship that is currently lacking in Congress. So for the time being, older individuals who aren’t eligible for premium subsidies are increasingly finding themselves unable to afford individual market coverage. Critics of AHPs and short term plans decry the potential holes in those plans, and the fact that they’ll siphon healthy people out of the ACA-compliant markets, leading to further increases in premiums. While there’s truth in those concerns, the fact remains that some coverage is far better than no coverage at all. So for people who are facing the prospect of going without coverage altogether, an AHP or a short term plan will be vastly superior to being uninsured. And while some coverage is always better than no coverage, this is particularly true for older individuals, who are statistically more likely to end up needing medical care. People in their early 60s who find themselves without access to an employer-sponsored plan may be tempted to go uninsured until they turn 65 and enroll in Medicare, but there are much better options available in most cases. Older individuals who are eligible for premium subsidies will find that the subsidies tend to be substantial, and may be pleasantly surprised by how affordable ACA-compliant coverage is once those subsidies are applied. 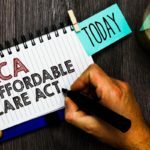 For those who aren’t eligible for premium subsidies, full-price ACA-compliant plans are available, but the premiums might be unrealistically high. In that case, it’s definitely worth exploring the other options that are available, including short term plans and AHPs, rather than going without coverage altogether.